This is an Aluminum Steering Rack for PRO-2, PRO-2 SC Buggy, Slash® 2WD and Electric Rustler®. Do you want to take your PRO-2 SC, PRO-2 SC Buggy Slash® 2WD or Electric Rustler® to the next performance level? 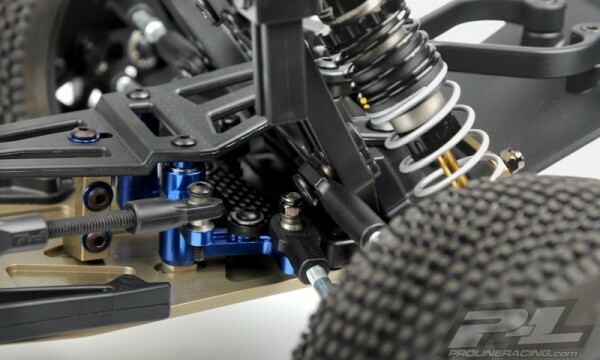 Well look no further than the new Pro-Line Aluminum Steering Rack! The increased steering response and precision provided by Pro-Line’s Aluminum Steering Kit will lead to faster lap times and also more fun! The kit includes ball bearings for silky smooth steering action and eliminates the servo saver for maximum steering. 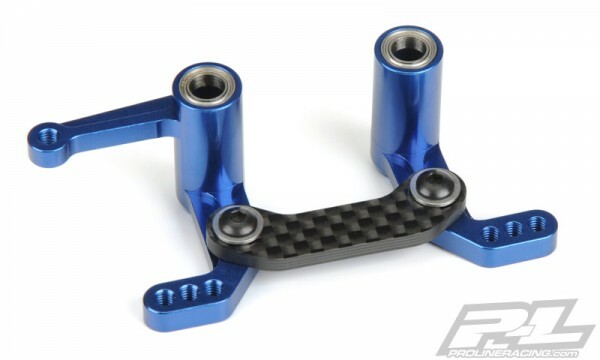 As an added bonus, Pro-Line’s development team made the center steering link out of Carbon Fiber for the ultimate in lightweight style, stiffness and durability. The Aluminum Steering Rack includes Adjustable Steering Ackerman holes where the center holes are Stock, inner holes are more aggressive, and the outer holes are less aggressive for more adjustability. 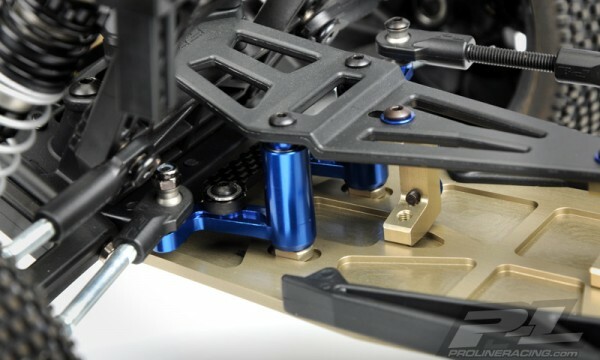 Pro-Line’s steering kit is a must for every PRO-2, PRO-2 Buggy Slash® 2WD and Electric Rustler®! 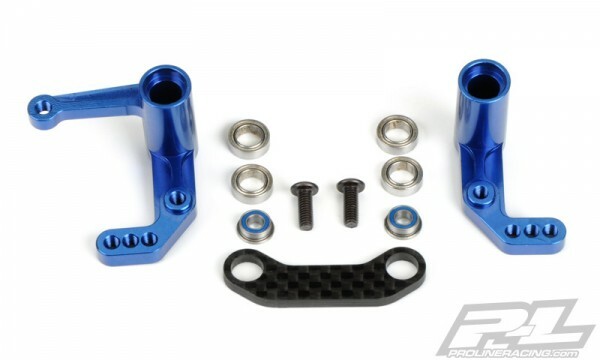 This Steering Kit is a direct upgrade part for what is included with the Pro-Line PRO-2 SC truck kit and Pro-Line PRO-2 SC buggy kit.